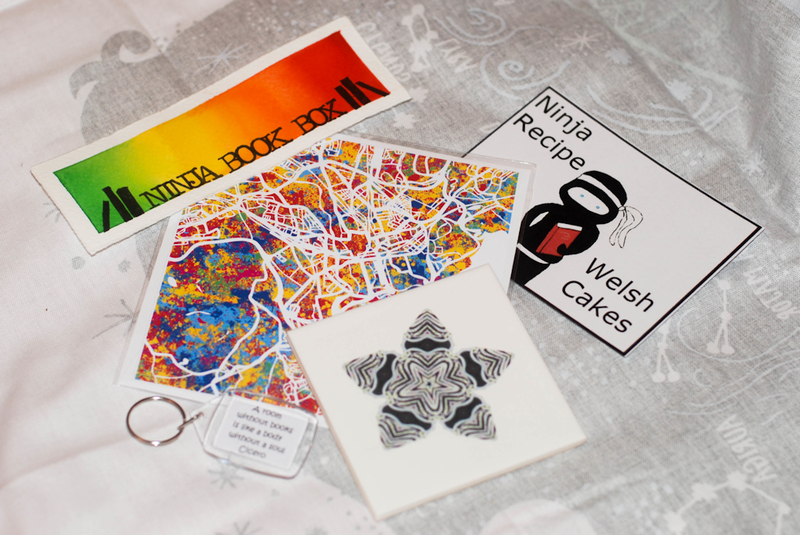 The first Ninja Book Box arrived on Monday along with my Kickstarter rewards. The box supports independent publishers, giving you a chance to discover books off the beaten track. It's also put together by the amazing Bex @ Armchair by the Sea. If you don't want the contents spoiled, stop reading now! The theme of the fist box is "Slightly Surreal" and I'm assuming the gifts have a connection to the book in some way. As part of the subscription, you are also invited to the Ninja Book Group to discuss the book after you've read it. And the first book is... Star-Shot by Mary-Ann Constantine, published by Seren Books. You get a bit more information about the book and publisher in the box. Seren is a small, Welsh publisher specialising in English-language writing from Wales. 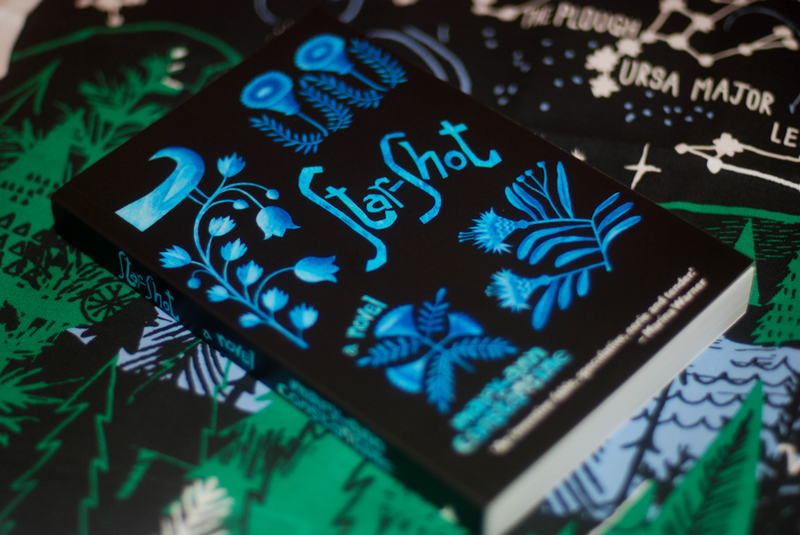 Part fable, part mystery, Star-Shot is a stylish debut novel set in and around Cardiff's National Museum in a time that is almost, but not quite, our own. It's definitely piqued my interest and I do like to see books set in British places that are not London now and then. And that background that Star-Shot is on? 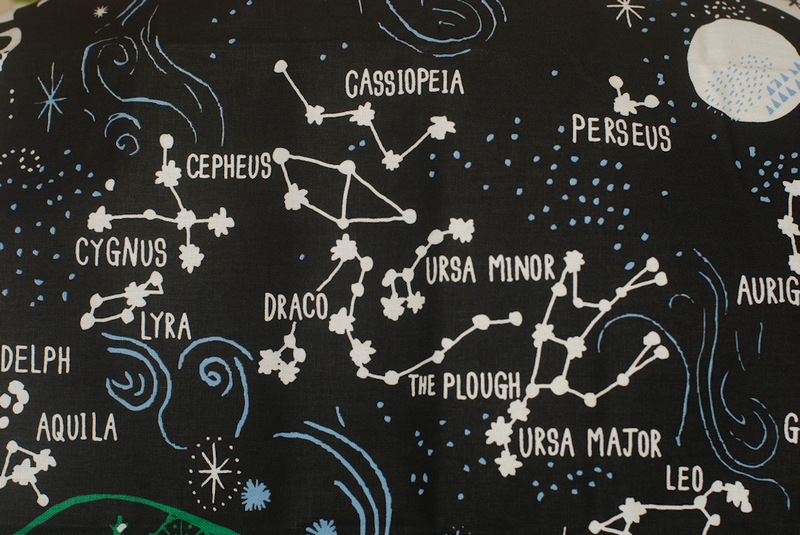 It's a fabulous constellation tea-towel by Blinkin' Imp. I like pretty yet practical things in my subscription boxes! 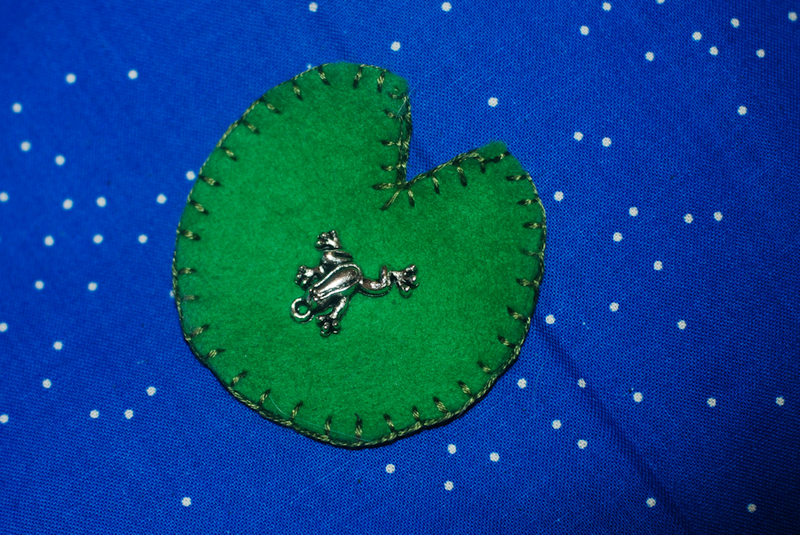 Josh thought the next item was a green Pacman, but I noticed that there was something inside it... turns out wasn't Pacman at all but a hand-sewn lily pad containing a tiny frog charm! I don't have a charm bracelet but it's a cool idea to create one inspired by books you read. Maybe I'll need to go and get a bracelet for this little fella. If you're not into the idea of charms I'm sure you could attach it to something else, or just keep it on its lily pad for display. 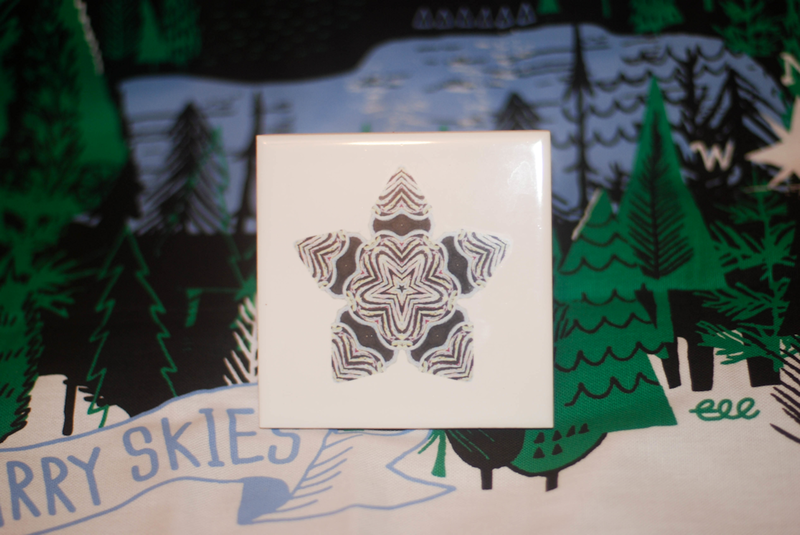 There's also a ceramic tile/coaster from J Talbot Designs. I'm not sure if it's also Welsh or connected to the story, but we'll see! It's actually more subtly coloured than it seems. The handmade bookmark (from Skinny Hues) reminds me of the bookmark in the first Illumicrate so I think it's the same person. They are really quite nicely done. Keeping in the Welsh theme there's a recipe card for Welsh cakes and a greeting card with a map of Cardiff by Crafty Bacon Studios. My Kickstarter rewards also included one of the shortlisted books that didn't make it into the box. 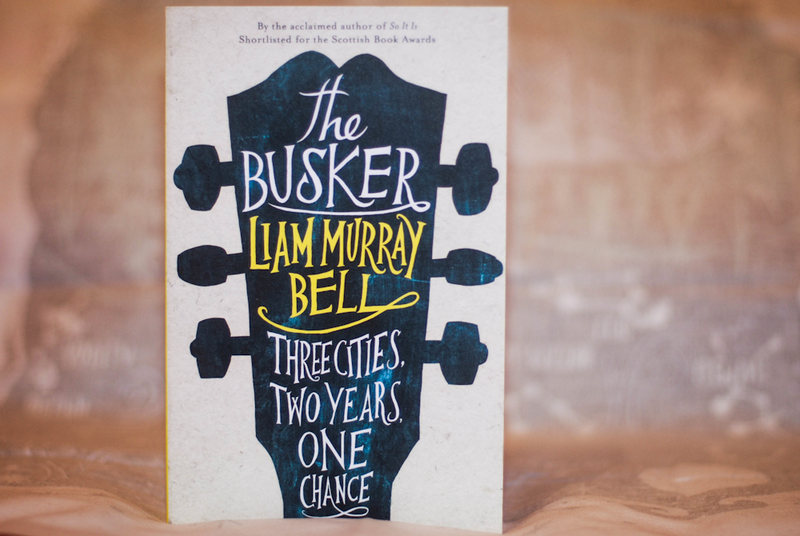 I Got The Busker by Liam Murray Bell, which is about a musician who goes from the promise of being the next star to living on the streets. It was shortlisted for best debut in the Scottish Book Awards 2013. 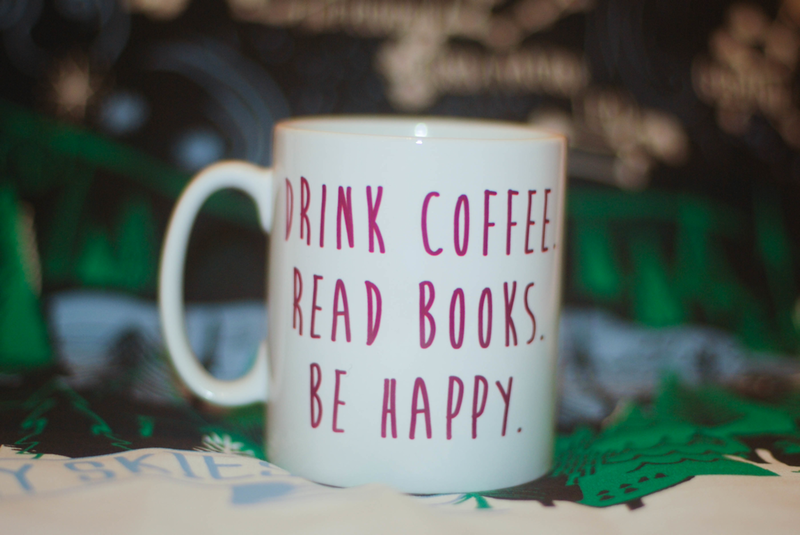 My other reward item was a Ninja Book Swap mug (it has their logo on the other side). It also has a great message, haha! So, I got two books that I probably wouldn't have bought for myself but am intrigued to read. I think it's very easy to fall into routine when picking books, so it's great to have something a bit different chosen for you. I've also not been going to my real-life book group lately so this might help fill that gap. Sorry for the slightly dingy photos, there's pretty much zero natural light about this time of year. But subscription boxes add a little cheer to an otherwise dark day! If you haven't had enough of them, I'll also be blogging about Illumicrate and Gin Explorer soon. 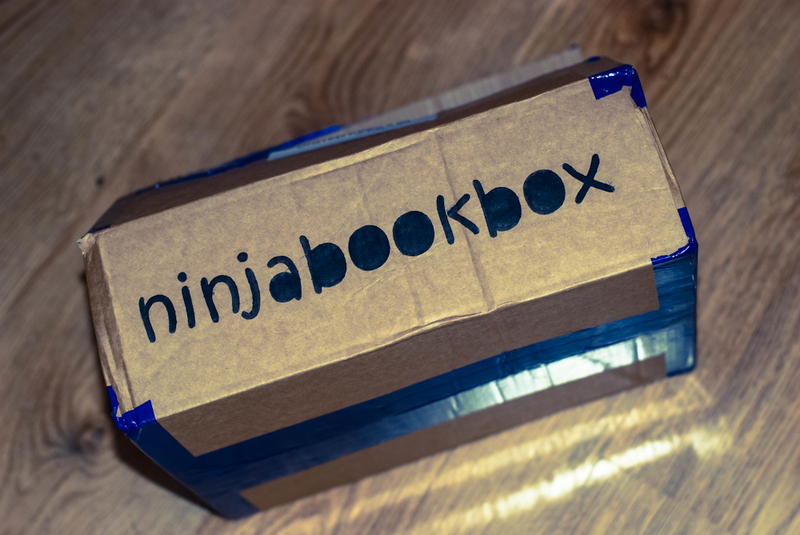 If you fancy getting your own Ninja Book Box, head on over to www.ninjabookbox.com. If you don't want to pay a whole year up front, don't worry, they'll soon be a recurring payment option available.